choose from our selection of packaging options found under the tab. 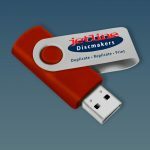 Jetline Discmakers is a leading disc manufacturing company that also specializes in CD/DVD/USB packaging and delivery. 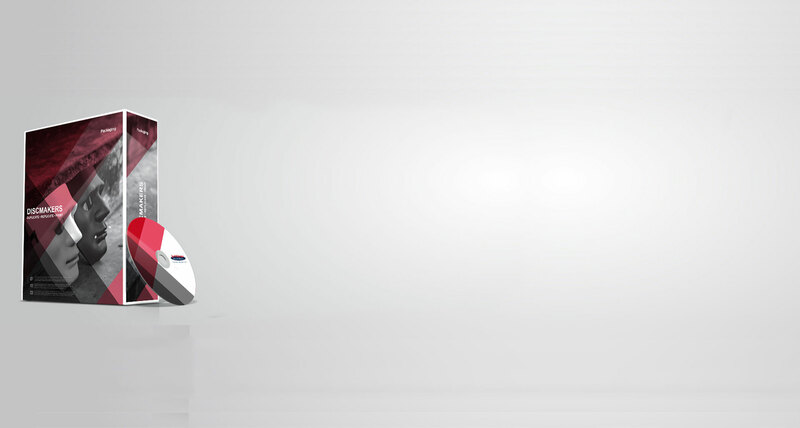 We have a wide variety of cost-effective packaging options for CD, DVD and USB’s. Our selection is wide enough to accommodate any size, type and packaging style to complete your project. Whether you’re looking for CD/DVD Jackets, Paper Sleeves, Cardboard Sleeves, Software Boxes or related products, our efficiency and quick turnaround time make the perfect combination for the assembling of your desired product! We give our clients the creative freedom to customize their CD/DVD packaging from scratch using our standard stock options. Our product specialists supply package specifications and a selection of print and finishing options. Once we receive approval from our art department, we work with you on the digital mock ups and product proofs to ensure quality, accuracy and consistency. Our CD/DVD/USB packaging options are cost-effective for small and large production batches. Clients have the option to choose from a stock selection of standard and stock CD/DVD Packaging. For combined products or a standard clamshell case, our options are available in multiple sizes and finishing options. For a finished product packaged to brand perfection, we are the go-to team for affordable packaging options ready for distribution to your clients! We offer a wide range of standard and stock CD/DVD/USB packaging options designed to fit the specifications of any product order. Whether it’s a bunch of bundled DVDs or a single cd flyer to be mailed- we cater to your packaging needs! We provide a selection of materials based on your product description, there are also finish options to choose from such as gloss or matte. Looking to ship your products to your clients? 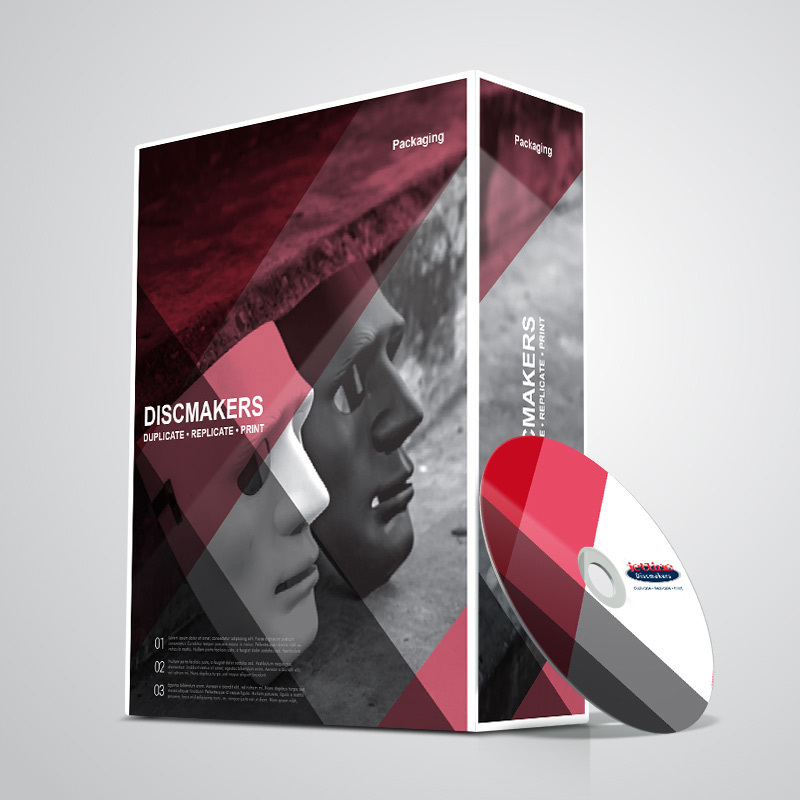 Team up with our Discmakers specialists who can assist with delivering your products for you. Due to the variety of our product offering, we can accommodate varying packaging bundles. Whether you need to package your CD with a book for instance, these options are available to our clients. Our range of CD/DVD/USB packaging accommodates any size required for your project. Choose the right size that will be the right fit for your product specifications. Our team of CD/DVD packaging design experts are friendly and ready to work with you to ensure that the process of developing and manufacturing your product is seamless. With our wide selection of CD packaging types, styles, colors and materials, you’ll be spoilt for choice before you decide on your preferred choice for the project. We also customize designs to fit your brand without the hassle of a printed design. The Jetline Discmakers team is dedicated to providing professional, high-quality, standard and custom CD/DVD/USB Packaging for your media. We give you the opportunity to choose from our wide variety of packaging and the option to use your own brand design or artwork in accordance to product specifications. With a variety of materials, printing options and finishing options to create the perfect brand image packaging for your media, we’re the right fit for your project. Once you’ve made your selection, you’ll work with our product specialist who will supply you with product specifications fitting to your design. 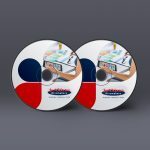 See our selection of CD/DVD packaging options for you to choose from in a variety of styles, materials, and finishes. We’ve consistently maintained a quick assembly and turn-around production time for your products and they go through to quality control. Due to the differentiation needed for our customers projects, we’ve expanded our range to accommodate any size required for CD/DVD /USB Packaging. Whether you need to bundle your products together or have a nice-fit single-disc digipack sleeve, we work with you during the developing and manufacturing stages of your product to provide the best packaging solutions. 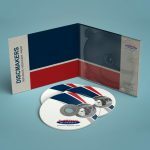 Our range of CD/DVD packaging accommodates any size required for your project. Choose the right size that will be the right fit for your product specifications. Custom CD/DVD/USB Packaging come in all sizes, shapes, and styles from Digi-packs to sleeves and wallets to slipcases. Whether you’ve seen or envisioned it, we can make it for you, and if you are looking for something that’s a little unusual, we’ll go the extra mile to make it happen. We have limitless custom CD/DVD packaging design options, simply provide us with brand and product specifications and we deliver on our promise by producing exceptional results. There is a huge library of design templates available for custom packaging requests. Due to the nature of production for custom packaging, our service ranges from short run duplication to large run replication. Team up with our CD/DVD packaging design experts to create your fully customized packaging and artwork.